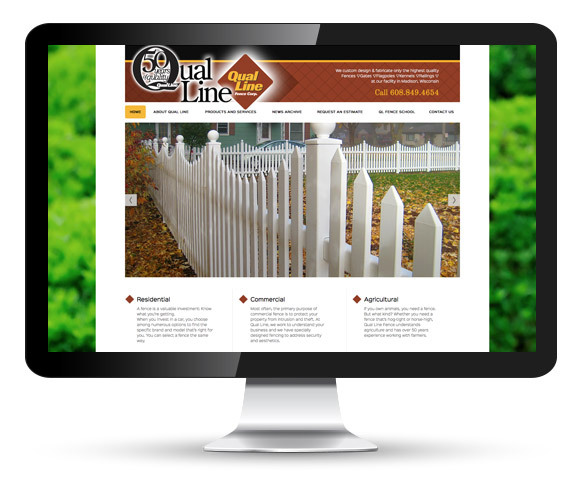 Qual Line Fence serves residential, commercial, and agricultural customers in southern Wisconsin. It is a family-owned fence company, located right in our village of Waunakee, Wisconsin. Qual Line has been in business for over sixty years – and we feel like part of the Qual Line family as we begin our 12th year of managing their advertising and marketing! We recently completed their new web site design, built on a Joomla platform, that provides each visitor with an elevated customer experience, educational resources and improved customer service interaction directly between the customer and a QL CSR professional.